Plain Kaleidoscope is just plain fun. Make sure you take a look at the product details for this block to see the secondary pattern this block makes when it is used in a block. Totally pieced in the hoop and quilted in the hoop. block makes when it is used in a quilt is as much fun as the primary pattern. 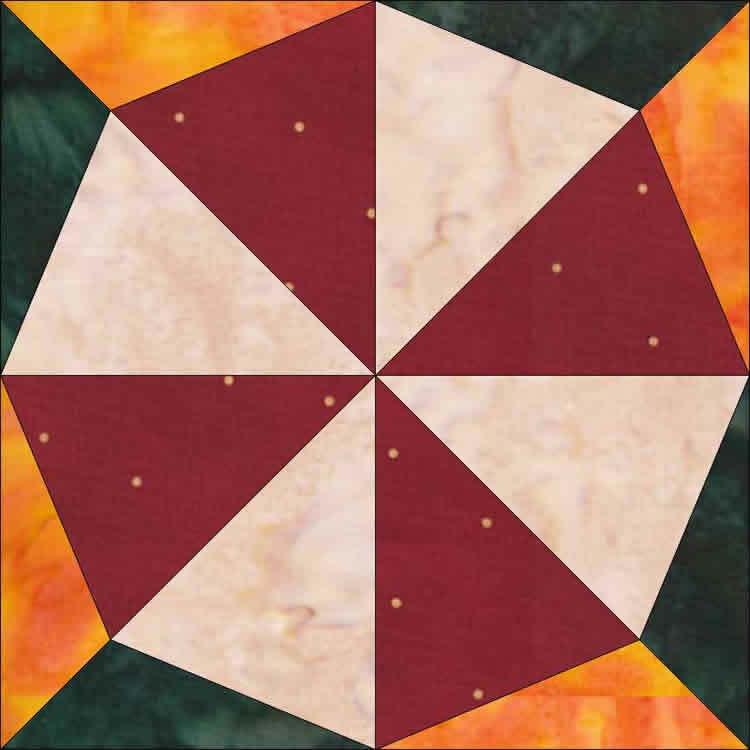 Interchangeable Quilt only designs for plain or unpieced quilt in the hoop projects are supplied in 5 and 8 inch blocks.